The second season for the musical adaption of the popular manga/anime, "Tennis no Oujisama / Prince of Tennis", is making it's return to theaters on January 2011. The play will be split into three different episodes along with a concert. The first episode will start on January 5th at Tokyo JCB HALL, titled "Musical Tennis no Oujisama Seigaku vs Fudomine." After Tokyo, they will move on to Osaka Mielparque Hall, and end in Tokyo Nippon Seinenkai DaiHall. Episode 2 titled "Musical Tennisu no Oujisama Seigaku vs Kiyoshi Rudorufu" will start sometime in spring, episode 3 titled "Musical Tennis no Oujisama Seigaku vs Hyotei" will start in the Summer of 2011, and the "Musical Tennis no Oujisama Concert" is planned for the Fall of 2011. 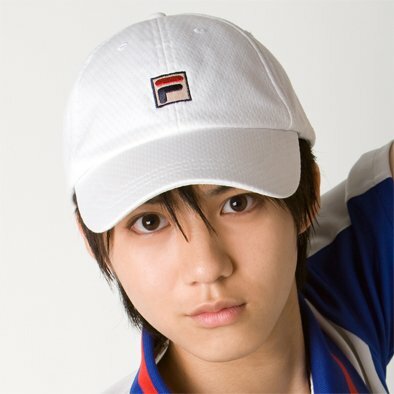 The musical play "Tennis no Oujisama / Price of Tennis" started in 2003 and ended on May 2010. There were a total of 690 performances over seven years. EPISODE 1 (JANUARY ~ FEBRUARY)? ?Musical Tennis no Oujisama Seigaku vs Fudomine? EPISODE 2 (SPRING) ?Musical Tennisu no Oujisama Seigaku vs Kiyoshi Rudorufu? EPISODE 3 (SUMMER) ?Musical Tennis no Oujisama Seigaku vs Hyotei? CONCERT (FALL) ?Musical Tennis no Oujisama Concert? NARUTO manga sells 100 million copies!